Croydon has always been a hotspot for producing world class music talent. It is time that the borough supports current & future talent through a world class music studio, which we will deliver. Since 2006 we - Cellar Door - have worked with an array of musicians such as Basement Jaxx, Wiley, Tinie Tempah, Katy B, Mike Skinner, Skepta and Wide Awake as well as home grown talent including Stormzy. Being from Croydon, we have become disillusioned over the lack of world class facilities to support the music talent in the borough. 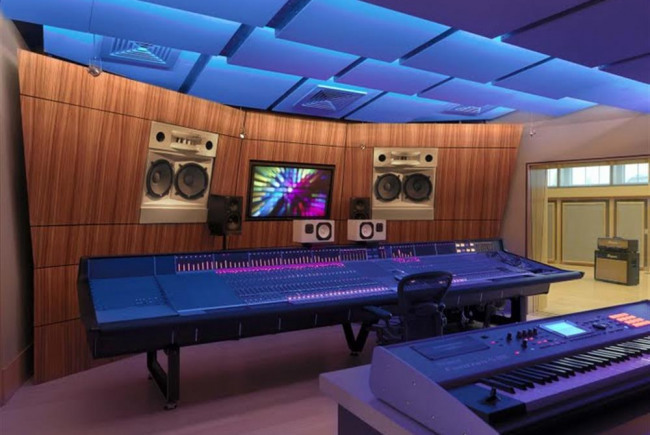 By speaking to up and coming artists we see there is a desperate need for world class music recording facilities. This is exactly what we will deliver for Croydon. It is our ambition to develop a space that is accessible to all and facilitates a unique environment where artists can develop their music with the support an in-house studio manager. We will also form partnerships with existing facilities such as BRIT School and Croydon College amongst others, to champion Croydon as one of London’s most exciting destinations for music production. It is our ambitions to improve the profile of Croydon & help reinvigorate the creative economy in the borough. Croydon has a rich music heritage with the BRIT School nurturing talent including Adele, Jessie J and Amy Winehouse amongst others. Through a recent survey we undertook, feedback we had revealed a demand to see activities that would support Croydon’s creative talent. This stemmed from the closure of facilities as part of the austerity measures and the fallout from young people not having services or a platform upon which they could utilise to further their development. Through our experience in showcasing music events, we have seen first hand the benefits a credible music platform brings to promoting not only an artist but also the community around them. The ‘in-store’ live music showcases will act as feeder to larger live music performances within the borough. It will showcase the cream of London’s undiscovered talent and It will help put Croydon back on the map as a known destination for culture, sitting alongside other successful initiatives such as Croydon's Arts Quarter. Develop space layout with studio engineer(s) to ensure the studio is acoustically fit for purpose. 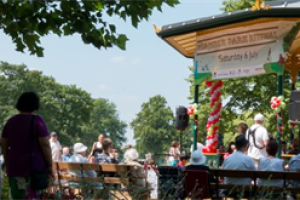 We have engaged with local partners who are equally as passionate in promoting the cultural opportunities within the borough of Croydon. Conversations include meeting with the likes of Jonny Rose (Croydon Tech City) & Kevin Zuchowski-Morrison (Rise Gallery). Additionally we have met with the Programme Leader for Music & Music Technology at Croydon College so as to understand what key facilities would enhance their current offering. This has enabled us to produce a clear timeline for the development of the recording studio. Namely developing a space that includes: - (i) a suitable working environment with excellent acoustics & appropriate sound insulation - formulate a budget for the renovation works & equipment purchase (computer, audio interface, desk, monitors, instruments etc) - engaging with respected sound engineers who will form the backbone of a successful music studio. Central Croydon. Croydon is currently in a state of urban regeneration, with a great amount of inward investment currently flowing into the borough. In 2016 it was named the UKs fastest growing economy. Project Delivery Manager: Cellar Door Promotions Limited The Project Delivery Manager takes legal responsibility for receiving and spending the funds raised and ensuring the project is delivered.